Customers used to login into the online store with the help of their email id till date. Now, the new Brainvire EasyLogin extension for Magento lets them login with the help of their mobile numbers too. Whether it is a login process or payment process, people like it when it gets easier! People like change too! In the all the Magento eCommerce stores, people used to create their accounts by filling up all the necessary information. However, they used to enter email id for logging in. Brainvire EasyLogin extension now lets people log in through their mobile numbers, making it even more convenient and speedy. 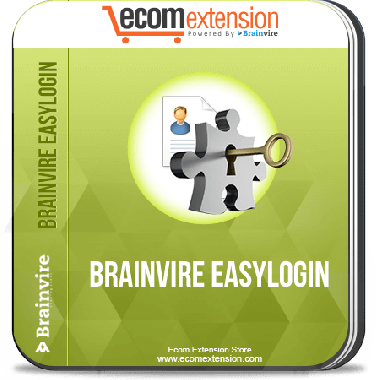 With the help of Brainvire EasyLogin extension for Magento, the customers can not only register in the eCommerce websites using their mobile numbers, but can also login into their account using the same number. In addition to that, they can register at the checkout page and make the payment at the checkout using the same number. However, they can also change their number from ‘My Account’ page, as and when they want. The best thing is that, admin of the eCommerce store can check the mobile number of customer from the admin panel. So, you can keep track of all the customers’ mobile numbers. Customers can register using their mobile numbers to create account. They can register their mobile numbers with checkout page when entering the billing information. Customers can login with the help of their registered mobile numbers. They can login with the help of their registered mobile number while checkout. Admin can see customer's registered mobile number from admin panel. Customers can also change their registered mobile number from ‘my account’ page.